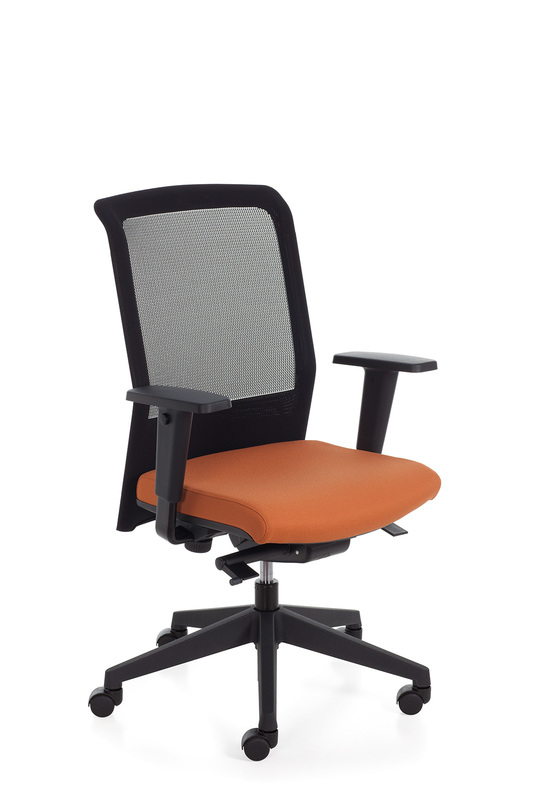 The mesh version from the wide range of Tecton managerial seating. 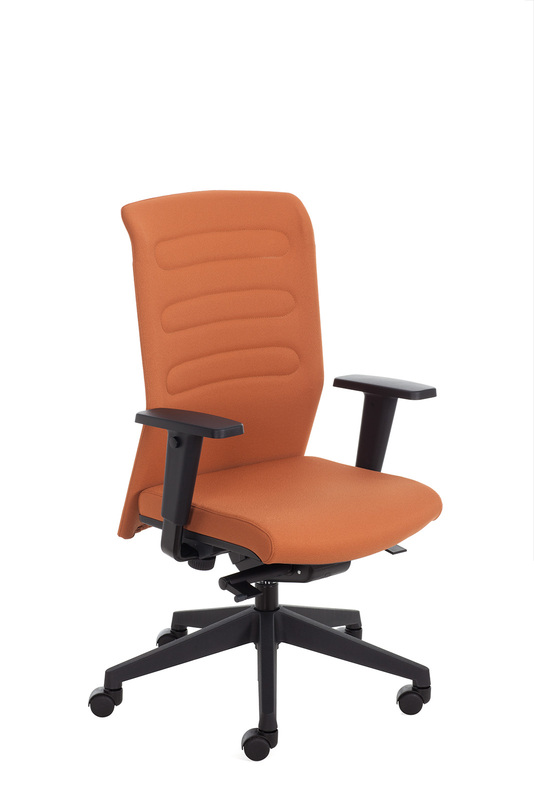 Hi-tech and streamlined, the mesh back provides complete, correct lumbar support while allowing air flow. The mechanism provides synchronised seat and back angle adjustment and incorporates a weight tension control. The arms are height and width adjustable. 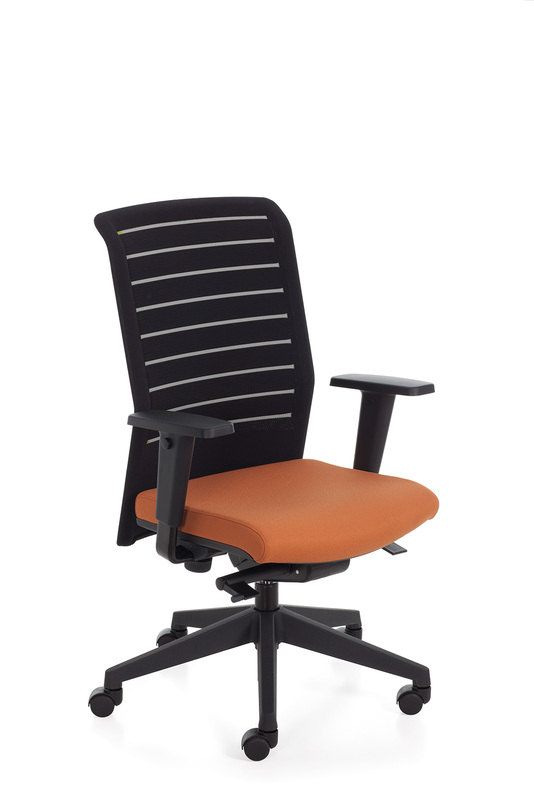 The upholstered seat can be assembled different type of backrests: black mesh back, mesh back with coloured stripes or upholstered back with stitchings. On request: chrome plated arms, polished aluminium base and sliding seat.